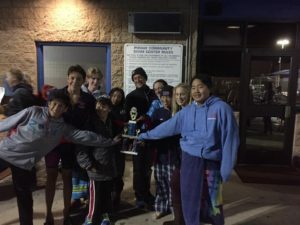 RSD swim team took the team title by winning first place at the Junior Olympics! 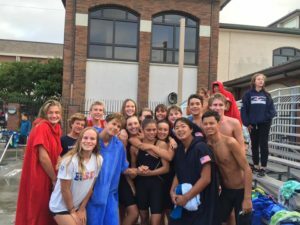 It was a great four days of competition for RSD, with an exceptional showing of teamwork by our swimmers, parents, and coaches. We are so proud of our athletes for demonstrating our team values and bringing their best! 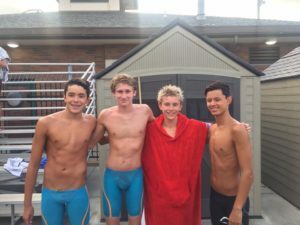 The final results of the San Diego-Imperial Swimming-hosted Long Course Junior Olympics held 27-30 July at the Brian Bent Memorial Aquatics Complex in Coronado have been posted. 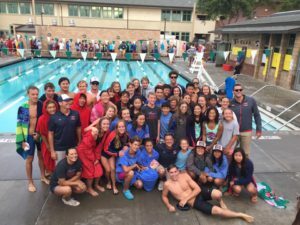 This year featured a very close battle for the top team honors, with a very talented Rancho San Dieguito Swimming winning the overall team championship with 4571.5 points, followed by North Coast Aquatics with 4112 points and South Bay Aquatics (2770.5). A number of new JO and SI records were set. Many of our individual and Relay wins were also Team records and SI records!